Hans Gmoser (1932–2006) was the most influential mountaineer in Canada of the last fifty years. Through innovation, hard work, perseverance and an appetite for adventure, Gmoser evolved from penniless immigrant to mountain guide for kings, queens and prime ministers. 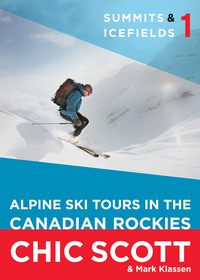 He also played a major role in creating what is now western Canada’s dynamic mountain adventure community. Known primarily as the inventor of heli-skiing and the founder of Canadian Mountain Holidays (CMH), Gmoser also garnered recognition as a talented rock climber, tireless expedition leader, successful mountain guide, renowned filmmaker, community organizer and vibrant businessman. 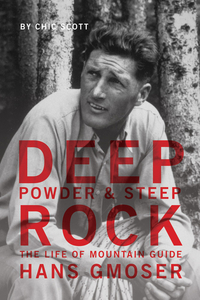 Told from all aspects of his fascinating life and including some of Gmoser’s own words, Chic Scott weaves together a compelling story based on the diaries, expedition journals, film commentaries and personal correspondence of this charismatic and inspiring figure. Chic Scott has been a climber and guide for over 35 years and a backcountry skier for 50 years. He is the founder of the Canadian Himalayan Foundation and was one of the founders of the John Lauchlan Memorial Award. 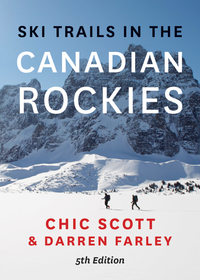 Chic is also the author of Ski Trails in the Canadian Rockies, Powder Pioneers: Ski Stories from the Canadian Rockies and Columbia Mountains, Pushing the Limits: The Story of Canadian Mountaineering and The Yam: 50 Years of Climbing on Yamnuska (co-author). Chic lives in Banff, Alberta.